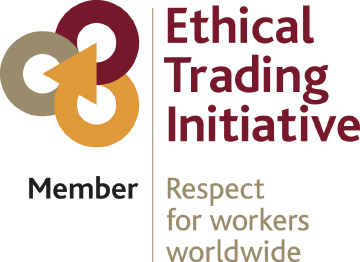 The Ethical Trading Initiative (ETI) is a leading alliance of companies‚ trade unions and NGOs that promotes respect for workers’ rights around the globe. Their vision is a world where all workers are free from exploitation and discrimination‚ and enjoy conditions of freedom‚ security and equity. Global supply chains are highly complex and challenging for companies committed to trading ethically. Workers’ rights issues are often deep-rooted and widespread and are best tackled through collaborative action. Through our involvement with ETI we are able to harness the expertise‚ skills and resources of their alliance members to identify these issues and help develop innovative‚ long-lasting solutions. Our measure of success is that workers can negotiate effectively for a better working life where their rights are respected. There is no forced or bonded labour. Workers are free to leave their employers after reasonable notice. Regular and documented health and safety training and procedures.